In this post, the focus is on the issue of referenda, again, in the context of the British Electorate’s decision to secede from the European Union in 2016. We have looked at the issue of ‘Brexit’ on a number of occasions here in Financial Regulation Matters, for obvious reasons, but only really once from a systemic/theoretical viewpoint. Yet, in light of comments today from one of the most influential business leaders in the world, it is perhaps timely to revisit the issue once more and look more systematically at the issue of referenda and their effects. In this modern world where direction is presented via a Tweet, Lloyd Blankfein, the CEO of Goldman Sachs, delivered a telling tweet earlier today that will surely have an effect upon development in the U.K. In his Tweet he stated that there was ‘lots of hand-wringing’ from CEOs regarding Brexit, and that with the Brexit decision being so ‘monumental and irreversible’, ‘why not make sure consensus [is] still there’? Effectively, Blankfein is asking why, with such an incredibly effectual decision, one capturing of consensus was and still is considered to be enough – and it is a good question to ask. As business seeks clarity whilst reorganising themselves in case that clarity never arrives, this raising of the ‘multiple referenda’ argument is worth focusing on, and we shall do that in continuation of the previous post in Financial Regulation Matters cited above. 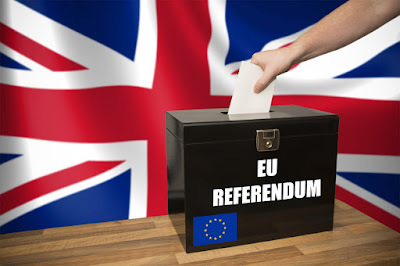 To begin with, the concept of multiple referenda is discussed in the Centennial to the Parliament Act 1911: The Manner and Form Fallacy article written by Professor Rivka Weill in 2012, and represents a good starting point. In the article Weill, citing Bruce Ackerman, states that one particular model for conducting referendums is to establish a multiple referenda model, whereby the referendums are ‘spaced years apart with constructed deliberation, on the same topic before recognising that the People have spoken’. Interestingly, Weill pairs this point with the fact that, as a rule (and certainly in the case of Brexit), referendums are not binding for a reason i.e. they are meant to be consultative. Ultimately, Weill discusses how, when writing in 2012, Britain is slowly developing into a nation that promotes the use of referendum to decide constitutional changes, and with 2016 having passed we can say safely that this is certainly the case; as Weill says, the referenda has become a favoured ‘tool of a popular sovereignty model’. Yet, referenda do have a number of competing positive and negative elements to them. Setala mentions how whilst referenda can be seen as a direct threat to even the largest of majorities within a given nation, it is also the case that referenda can be viewed as an excellent vehicle for increasing the participation of citizens in key areas of constitutional politics, ultimately constituting a ‘step towards [the] further democratisation of societies’. It is also true, however, that the method with which the referendum is delivered is particularly influential, with overwhelmingly intense referendum campaigns leading, usually, to an ‘issue-based’ voting pattern; the EU referendum could certainly be described as intense. The inclusion of large and influential figures into the campaign, ranging from private donors like the infamous Arron Banks, to the whole spectrum of elite politicians, is representative of a long-standing mistrust in the efficiency, effectiveness, and legitimacy of referenda as a tool for democracy; Tierney discusses how, for many, referenda are merely a ‘democratic chimera, symbolising popular power when in reality direct democracy acts as a cover for elite manipulation’ (Tierney’s discussion of the usage of referenda by Napoleon Bonaparte to take control of the French State is illuminating). With regards to Blankfein’s statement regarding a second referendum with respect to Brexit, there are perhaps three questions (amongst many others) which stand out. Firstly, should there be another referendum? There are perhaps two issues that relate to that, with the first being that for those who voted Leave and continue to support that decision, a changing of the parameters of the game (for want of a better word), could be incredibly impactful upon faith in the democratic system. The second issue is that the decision to leave was taken over a year ago, and the U.K. has triggered Article 50 – there have been a lot of decisions taken on the back of that announcement, and to undo that process could also be particularly impactful (particularly upon such a fragile society). Another issue would be the potential effect upon those who campaigned for Leave upon facts and figures that have been proven to be purposefully misleading (think the big red bus); would there be any repercussions? Yet, another perhaps larger question is why have another referendum anyway? If the concern is regarding the manipulation of democratic processes, then having another referendum means that there is just another opportunity to have the process manipulated. It goes without saying that lobbying forms would jump into action if even the weakest of second-referendum rumours began to develop. This point leads to the obvious point, and that is that the Leave/Remain referendum was simply not binding. The question then is why such a slender majority was considered enough to take such a monumental decision. Surely, and rationally, a simple majority was an inappropriate measure for action; to use the regulations governing companies for example, for the most influential of decisions that a company can take, a special resolution is often required i.e. more than ¾ must approve the decision for it to take effect – apparently, the direction of private companies is more sacrosanct than the direction of a country. Blankfein’s message is an interesting one, but unfortunately a safe one that only adds to the problems – he knows full well that his ‘idea’ is particularly late and will not be acted upon. The real question we need to ask is why the decision to act on such a slender majority was taken in the first place; regrettably, that is a question that has too many answers. Keywords – Brexit, Politics, Referendum, Banking, Goldman Sachs, Constitution, democracy, @finregmatters.